How Often Do Your Teeth Really Need You to Floss? Many people hear that they are supposed to floss at least once per day, but they still do not do it. They think that your teeth do not need that much attention, or that flossing is not going to do too much when you are already brushing twice each day. The truth is, your teeth can very quickly succumb to the debris that gets stuck between your teeth. If you do not care for your teeth by both brushing and flossing, you are going to lose your teeth sooner than you should. Flossing is meant to get the extra debris off of your teeth. That is why you are supposed to get the front and back of each tooth when you floss, as well as each side. Once you have surrounded each tooth with both floss and motion, you can move on because that tooth is likely as clean as you will be able to get it. If you go longer periods between flossing, you are leaving yourself wide open to tooth decay and increased cavities. Not only can cavities be painful, but when they occur due to a lack of flossing, you can even need a filling in both teeth that surround the gaps. This leaves you needing twice as many fillings as those who floss regularly. 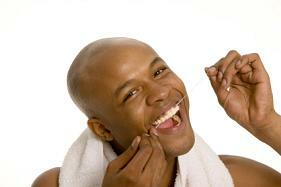 Flossing is also the best way to keep yourself from getting gum disease. Your body can only do so much when it comes to keeping you safe from gum disease. You need to be able to help it along. Getting the debris off of the gum line can go a long way in keeping your oral health at optimal levels. Please contact us about the importance of flossing at your next appointment, and let them tell you just how much your teeth need it.